The biggest apps and the most successful enterprises do things differently. Mobile marketing automation is how Subway Surfer improves monetization. It's how Starbucks engages deeper with its customers. And it's how Plants vs Zombies gets you back. 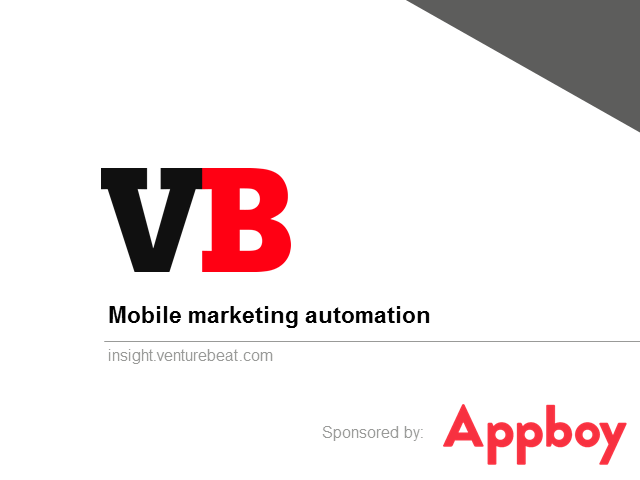 We surveyed 375 mobile developers with over 900 million monthly average users to find the best mobile marketing automation platforms. Then we analyzed 1.8 million apps in Google Play and the iOS app store, conducted 17 live interviews, and surveyed 19 MMA providers. The result is the most complete report on mobile marketing automation available.